Yes, I choose VS Code and yes I wasn't sold the first time I saw it. I don't like Microsoft products, but this one had something I really liked. This extension helps my life so much. When you have a lot of projects and don't want to waste time finding each one on your computer, you can just save them right inside the window. Just press shift + cmd + p and Project Manager: Save Project. Afterwards, you can just come back to your text editor and search right in the project manager by typing shift + cmd + p and Project Manager: List Projects to Open. This one doesn't do much. But what it does do is a huge help! For example, you’re working on a React project and you want to change your component MyApp to be YourApp. This extension will rename rename every ‘MyApp’ to ‘YourApp’ at the same time. If you follow me on Youtube you have surely seen how much I like this little tool. It makes your code more consistent for multiple users. What do I mean by this? It allows you to not worry so much about your Text Editor settings and will add some handy settings like indentation or trim whitespace. This is useful for teams because it can be painful to see some 4 space indents on one page and 2 space indents on another. This works on almost every code editor too, so if your friends don't use want to use your new favorite text editor, it will work for them too. If you are like me and you like Flow you need this tool. Less laggy than the nuclide one in Atom plus it's the better solution for VSC I’ve found. This is an awesome extension, but I don't really use it. But for the those who don’t like using their mouse, this is something you need. It will help you navigate your file really quickly without using your mouse. React-Native user? This tool it's for you. This plugin will track your time spent in your text editor each week. It's like a Fitbit for a programmer. It will tell you which project you spend the most time on, which language you use the most and can even keep track of goals you set during the week. If you want to learn React-Native with NodeJS for your server side, I'm building a tutorial on youtube. Man thanks for your video. VSCode has some amazing extensions but discoverability is a real problem on the store. Thanks to you, I've found some super useful extensions that help a lot! I've moved to VS Code from Vim recently. Sick of Vim's glitches (to be precise, it's plugins), poor syntax highlighting, How using VS Code in Vim mode and it is a great editor. The youtube channel of your friend doesn't exist! 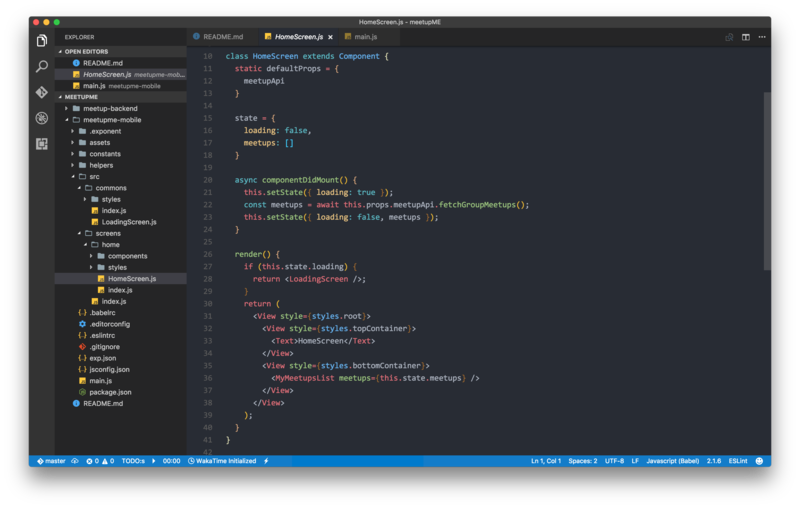 I like the VScode, thanks for the extensions.